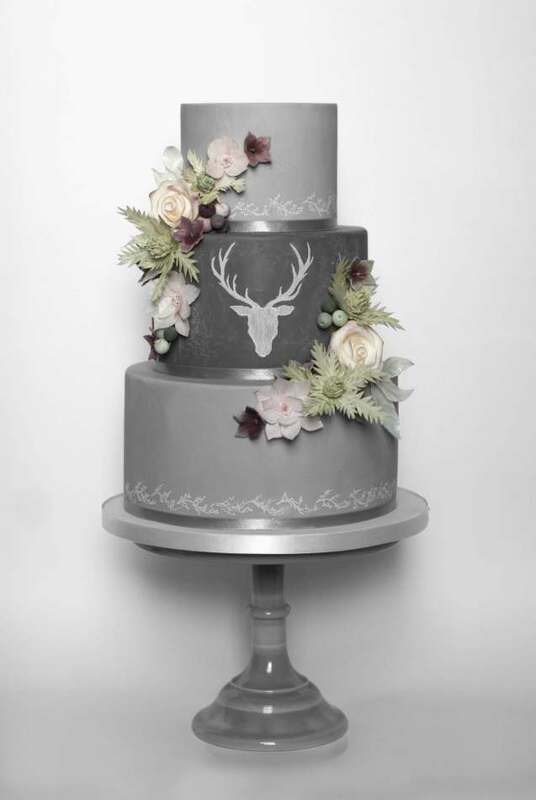 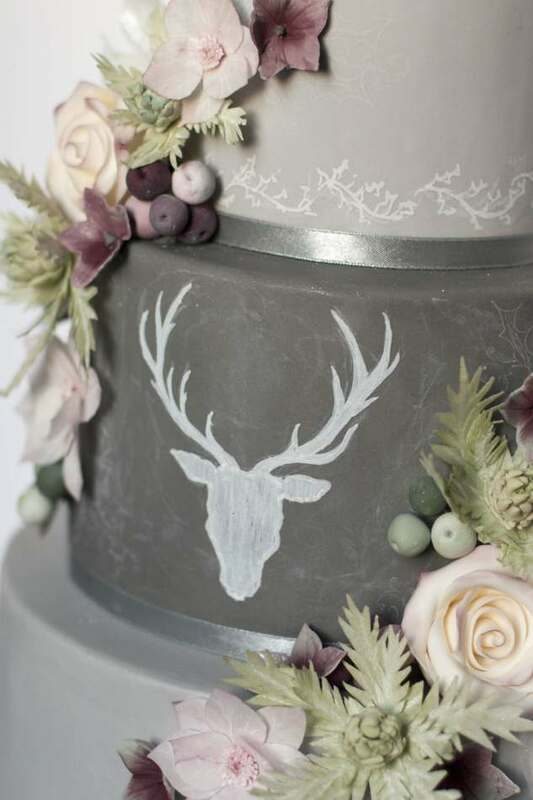 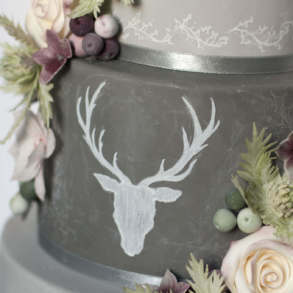 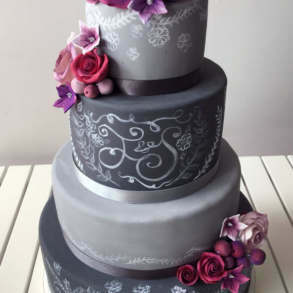 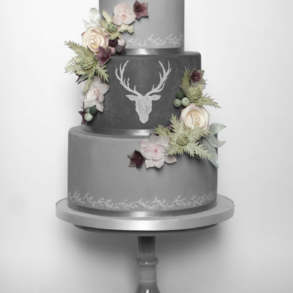 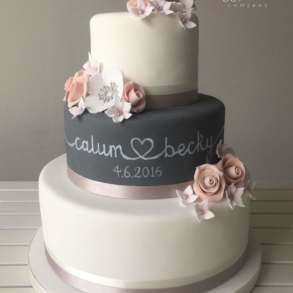 Its the wedding cake for people who don't like 'wedding cakes"
There is something about the striking grey and white tones of the chalkboard design cakes that is a million miles away from the girly white towers of sugar lace many people associate with wedding cakes that makes them so appealing. 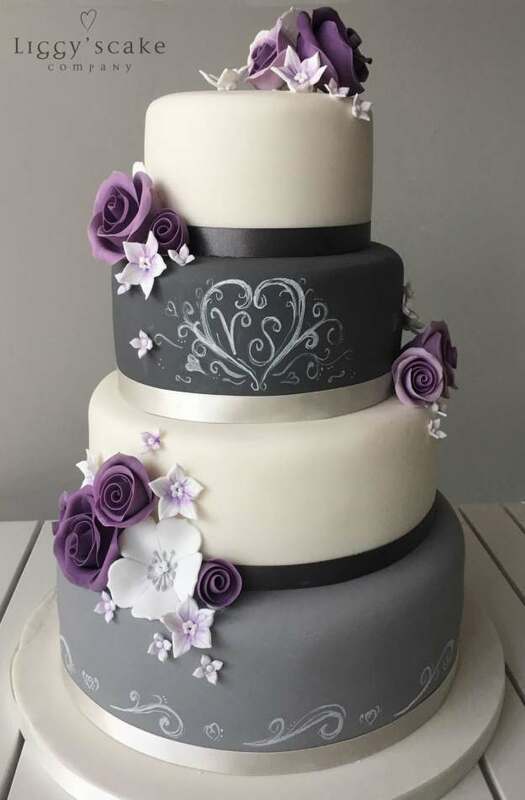 So much so that we find them forever popular with the "not too girly" couples looking for something beautiful (hold the frou frou!) 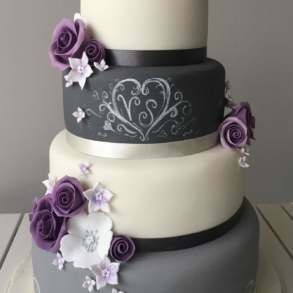 for their big day. 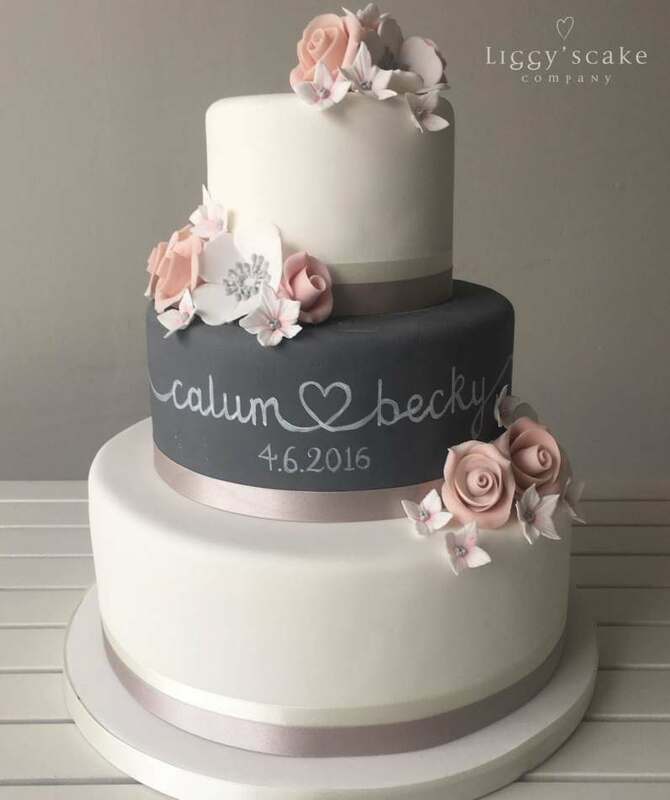 All our chalkboard cake designs usually have a beautiful, hand designed monogram as the focal point of the design These can be created to match a stationary suite if requested giving the whole wedding a smart, coordinated finish as well as being very personal to the couple themselves. 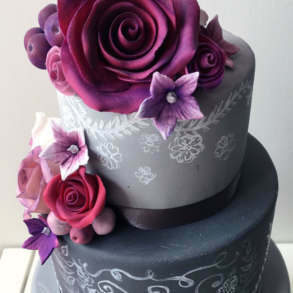 Not one for the shrinking violets! 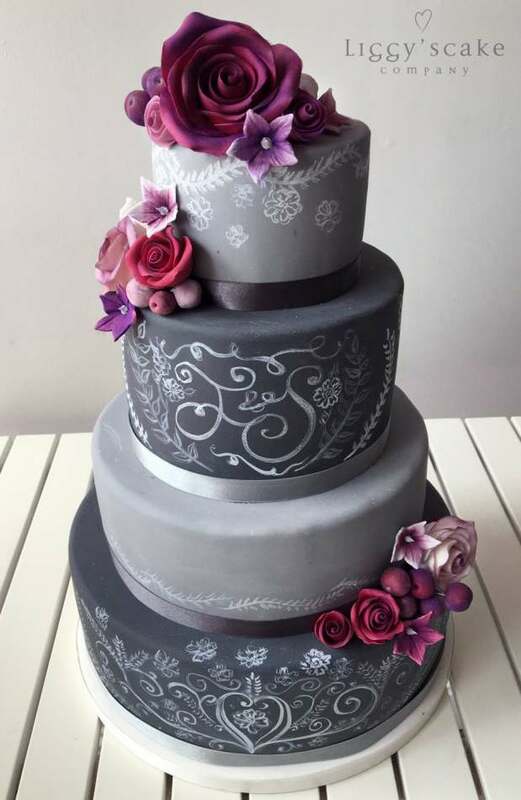 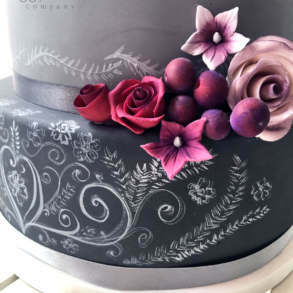 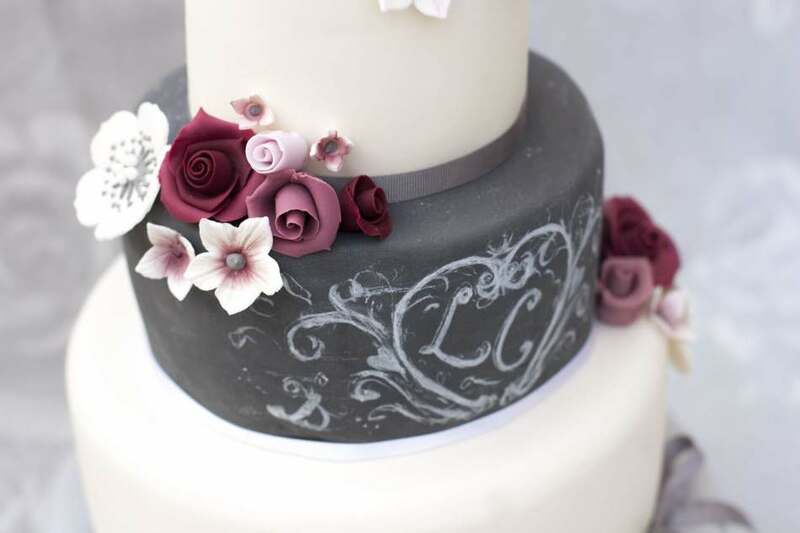 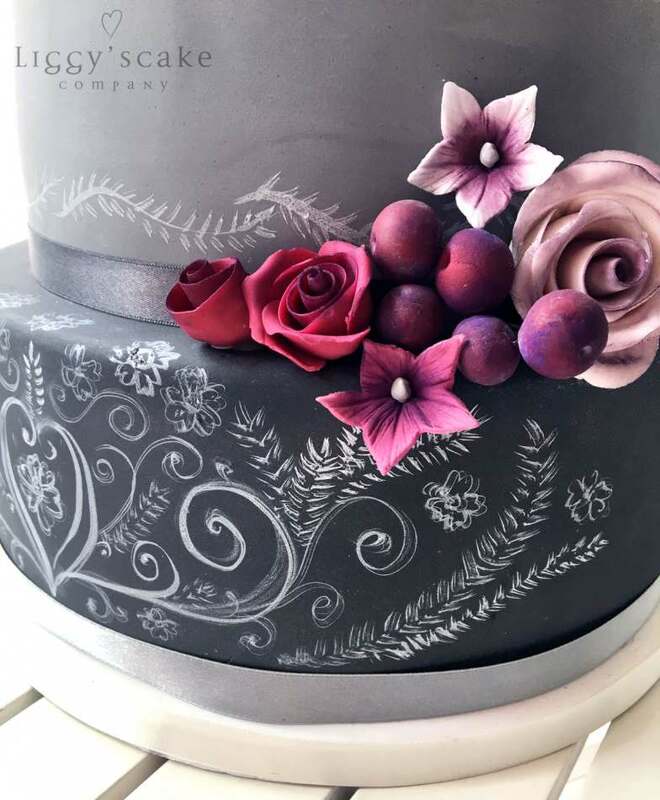 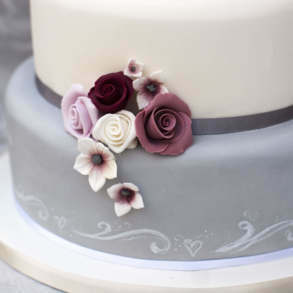 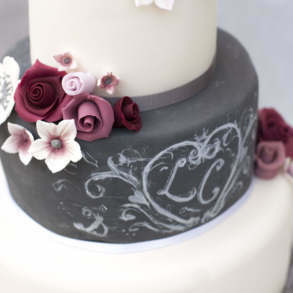 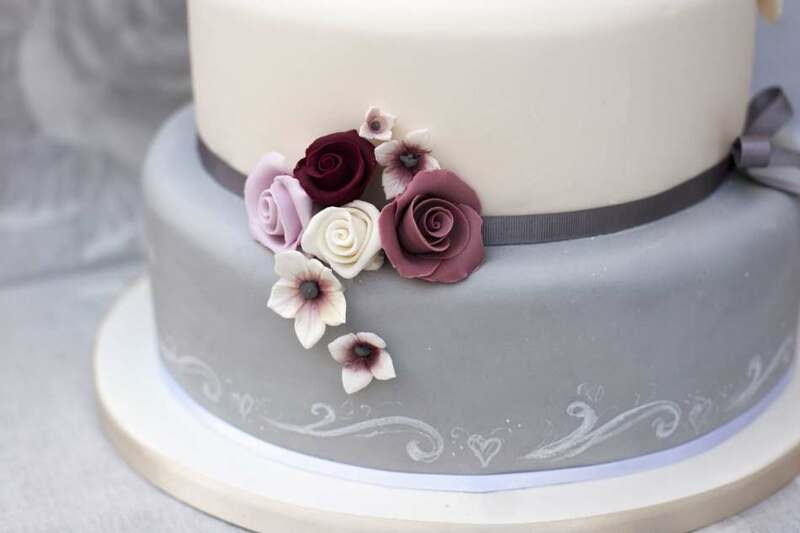 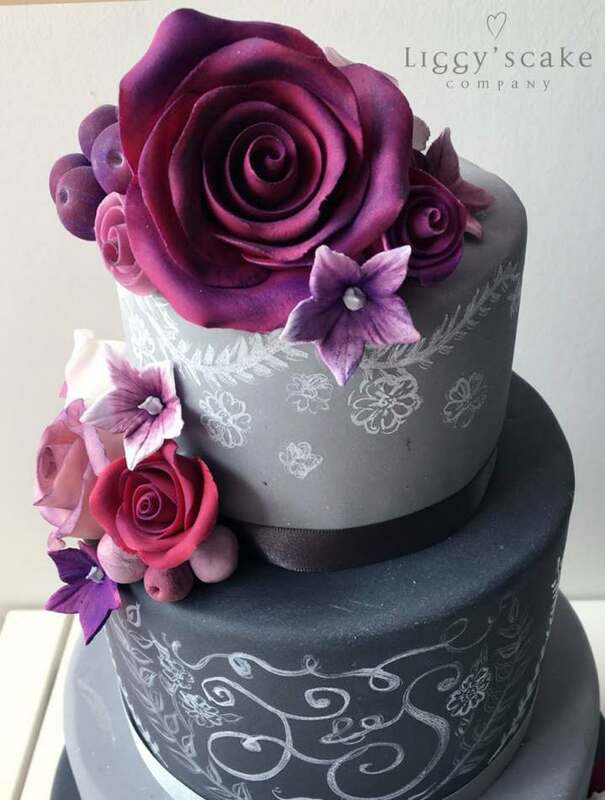 Many couples opt to introduce a splash of colour with their wedding cake flowers as bold reds, purples and greens look fabulous next to strong, masculine grey tones to give the overall cake a very modern feel.